End effect is avesome, I was watched Loonatics Unleashed time ago and I learned a little design how to draw them soo they there are. 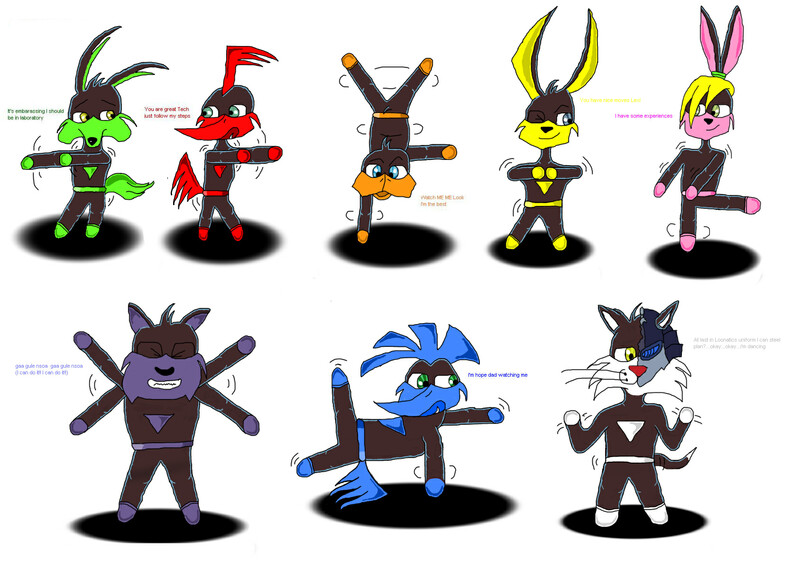 I was listening music and simply draw dancing coyote for fun it was fast and he was cute soo next was runner and the rest of the gang, the last characters are in the show but they not Loonatics Members, blue runner (was in 1 episode it's too bad he is avesome) is a brother of red runner and Sylth Vester is a villain in the series. I hate WB what they do with him in this show soo I making a little story beginning on Season 3 on it.